Home » Account » Email » Hacking » How To » What is Disposable Email? How to Get Disposable Email Address? What is Disposable Email? How to Get Disposable Email Address? Internet converted this world into a global village. We need help of internet in almost every walk of life. While using internet, we need to sign up in many places. Mostly we create temporary accounts on these places. If we give our official email address everywhere, in this case our email address would be full of unnecessary emails. I write this article for the assistance of internet user to avoid these junk emails. That’s why I find out some services, which provide us temporary email addresses. 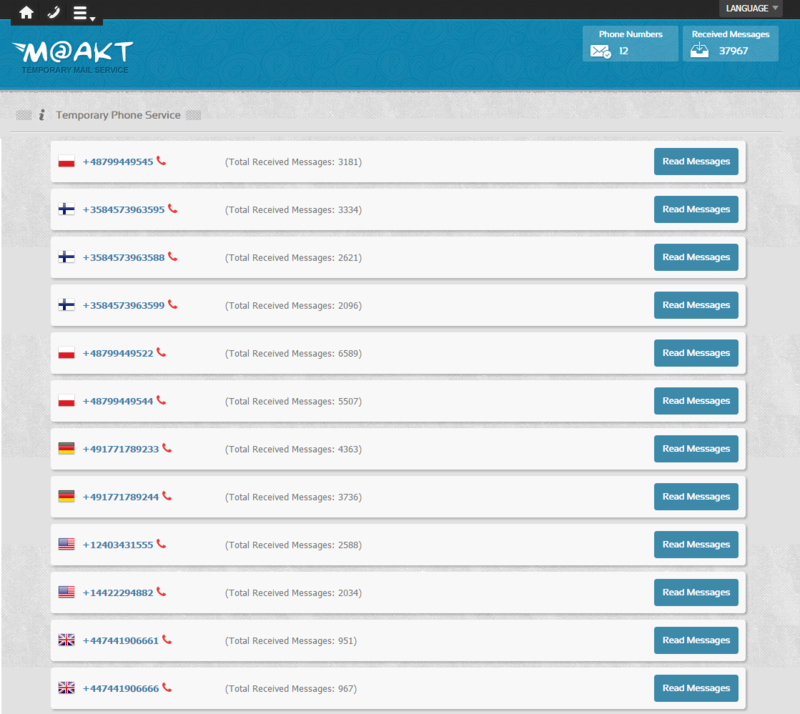 Although for creating temporary addresses www.yopmail.com/en is one of the best service for providing us temporary email addresses but here we talk about Moakt. I guess www.moakt.com is more helpful for users than Yopmail, because they are not only providing us temporary email addresses but also temporary phone numbers. Mostly on different places, we have to give email address, but on many places we give phone number for the verification of our account. This is more useful service on that sites, which do not support a specific country. 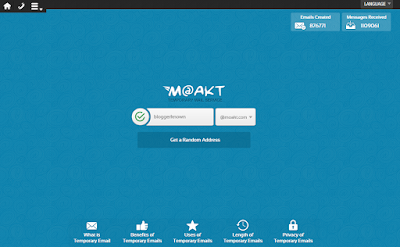 You can get your temporary phone number for verification of your account on www.moakt.com in this way you can get your account easily without any problem. Simply go to the www.moakt.com , create you temporary account. 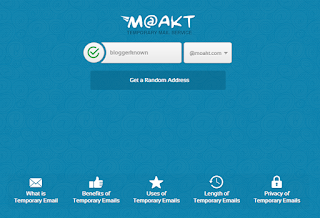 The procedure of creating temporary email account on Moakt is very simple, just click on Get a Random Address. Now you have your own temporary Email address for enjoying Moakt service. The duration of this temporary account is 60 mints (1 hour). If you need this account more than one hour, just click on Extend button. In this way, you can extend 60 more mints. If you need not this account further, you can also delete this account. 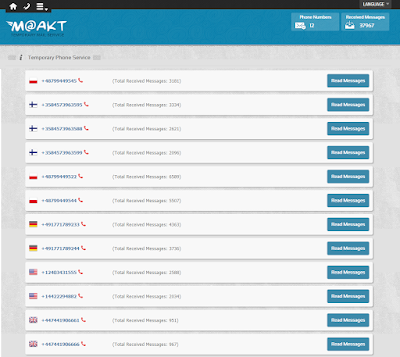 The most interesting feature of Moakt is, it also provides temporary phone numbers. You can use these numbers for verification of your accounts or for any other purpose, but these numbers can only be use for receiving SMS. There are eight numbers provide by Moakt for assistance of receiving SMS, you can choose one of them according to your choice. These incoming Messages are added in the inbox of these numbers. You can check any SMS anytime. You can get any verification code of any site, by using these numbers. After checking SMS, you can register any kind of your account on different sites. Be Carefully Disposable Email Address is not Protect you Privacy. One thing keep in mind while using these numbers, as you can see there is no any kind of privacy. That’s why, use these services only for temporary tasks. If you create any important account by using these numbers, then anyone can hack your account easily by using these numbers. So, do not create or verify any important account by these numbers.